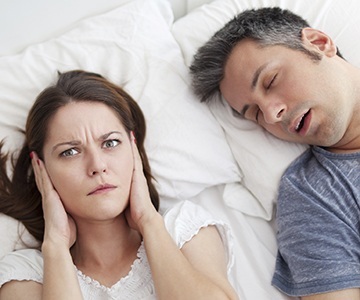 In the past, if a patient had sleep apnea, there were three basic treatment options: CPAP therapy, oral appliance therapy, and corrective surgery. While these are all very effective in their own way, for some patients, they simply aren’t enough to completely relieve sleep apnea symptoms. Thankfully, at our practice, Dr. Dernick is able to offer an additional solution that combines the best aspects of the two most popular treatments: combined therapy. With combined therapy, a patient gets the reliability of a CPAP machine and the comfort and flexibility of an oral appliance at the same time. For many patients, it’s the key to them finally finding a solution to their sleep apnea, one that we are ready to provide. CPAP therapy is the most commonly prescribed treatment for sleep apnea today, and the reason for that is it works! For this, a patient wears a facemask connected to an air pump that uses a steady stream of oxygen to keep a patient’s airway open during the night. While this method has been proven to be effective time and time again, it does have a few drawbacks. The machine itself can create quite a bit of noise, especially on the higher settings, which can be disturbing not only for a patient, but anyone sleeping near them as well. The facemask can also be quite constricting, causing some to have feelings of claustrophobia. It is also quite bulky, making it extremely inconvenient for travel. And for some patients, it simply doesn’t help relieve their sleep apnea symptoms. Oral appliance therapy, on the other hand, uses a custom-made mouthguard worn during the night to address sleep apnea. It works by slightly shifting the jaw forward in order to keep the soft tissues in the mouth and throat from collapsing into the airway. This treatment has been approved by both the American Academy of Sleep Medicine and the American Academy of Dental Sleep Medicine, and it’s also the primary treatment we provide at our practice. Dr. Dernick has personally helped countless patients sleep better using oral appliances. However, it is not effective for all patients, particularly those who suffer from severe sleep apnea. To help patients who are not getting everything they need from one treatment method, our practice is happy to provide combined therapy. For this, a patient simply wears an oral appliance and uses a CPAP machine at the same time. The combination of these two treatments allows their best qualities to shine through. Because a patient’s airway will be partially opened by the oral appliance, the CPAP machine can be placed on a much lower setting, reducing the overall noise and discomfort it can cause. Plus, it allows a patient to just wear a small nasal mask as opposed to a full facemask. Also, this method makes it much easier to take your sleep apnea treatment on the road. If you’re a person who travels often for business, you can just take your oral appliance with you as opposed to packing the entire CPAP. In the end, it can provide the perfect middle ground many patients have been needing. When Should a Person Consider Combined Therapy? 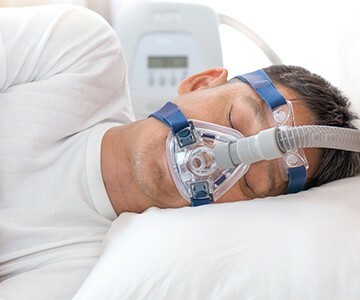 Increased Comfort: Between the smaller mask and being able to put the CPAP on a lower setting, combined therapy is much more comfortable for a patient than CPAP therapy alone. This treatment is also helpful for those who sleep near a patient as it reduces the noise of a CPAP! 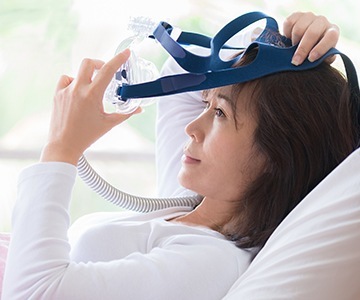 Increased Versatility: Traditionally, patients who suffered from severe sleep apnea were not able to use oral appliance therapy, and therefore missed out on all of its unique benefits. Thanks to combined therapy, now more patients can take advantage of a custom-made treatment designed just for them. 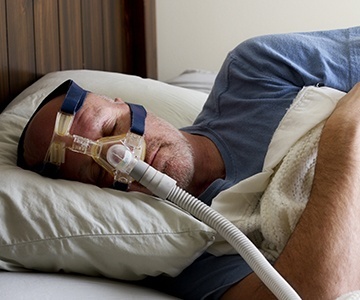 Increased Compliance: About 50% of the people who are prescribed to use a CPAP machine stop within the first year simply because it is so uncomfortable to use. Combined therapy, however, is often much more comfortable and convenient for a patient, meaning they are more likely to use it every night, which will increase its health benefits drastically. Increased Effectiveness: In a study conducted by the American Academy of Dental Sleep Medicine, combined therapy was shown to be more effective at preventing apnea events (where a patient temporarily stops breathing) than CPAP therapy alone. Untreated patients in the study experienced, on average, about 7 apnea events an hour, which was reduced to about 4 with CPAP therapy. However, using combined therapy, that number was reduced to about 2. 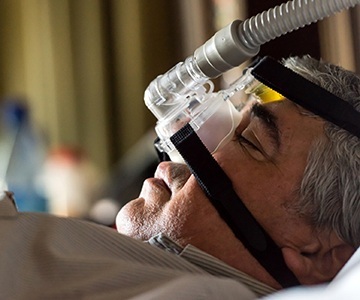 In short, combined therapy helped maximize the effectiveness of a CPAP machine. Increased Convenience: People who travel often are usually forced to leave their CPAP at home simply because the machine is too bulky, but with combined therapy, they can easily pack their oral appliance so they can get a good night’s rest no matter where they are. At our practice, we don’t believe in providing treatments that are one-size-fits-all, so while combined therapy might sound right for you, Dr. Dernick will only recommend it after a consultation with you and consulting with a local sleep doctor. This will allow him to fully understand your needs as well as the best way to meet them. Should you both decide that combined therapy or oral appliance therapy is right for you, he can promptly provide it. If you would like to learn more about combined therapy and how it could help you or a loved one start sleeping better, please contact us today. We’ll be happy to answer your questions and let you know what steps you need to take to get the treatment you deserve.